DURHAM, NC--(Marketwired - October 27, 2015) - Software solutions for fault tolerance can require lots of components, and they often need to be reconfigured on a VM-by-VM basis. 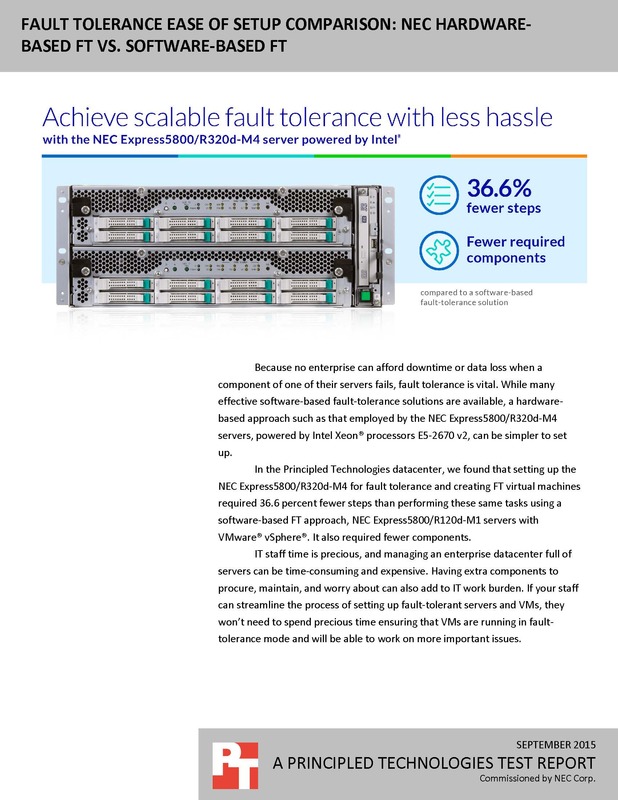 But the NEC Express5800/R320d-M4 server, a simple and robust hardware solution powered by Intel, could spare you the time and complexity while ensuring your customers experience as little downtime as possible. 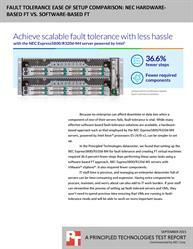 To learn more about the NEC Express server, read the full report at facts.pt/1Lm1XOx.